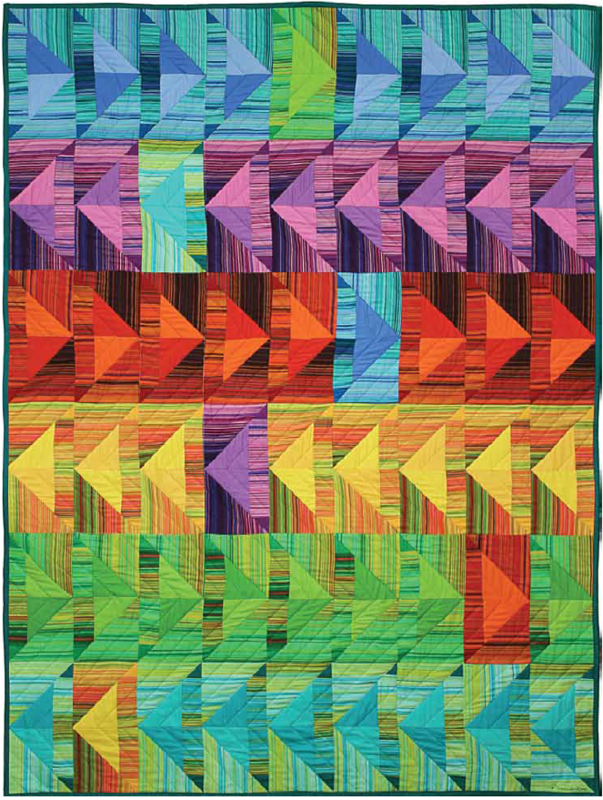 We love the vibrant color and the excellent 'motion' of the flying geese in this quilt, isn't it beautiful? 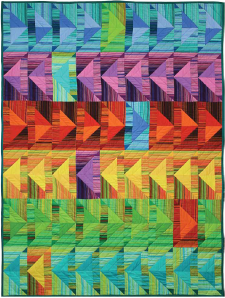 This project comes to us from a couple years back, so you may have trouble finding the exact same fabrics. It is a design by Marinda Stewart for Michael Miller Fabrics and features the Siren Song and Cotton Couture collections. Enjoy!